The National Commission on Culture and the Arts (NCCA) and the Bonafide Art Galleries Organization (BAGO) present the biggest showcase of visual arts, ManilArt 2011 on August 24-27, 2011 at the NBC Tent in Bonifacio Global City, Taguig. On its third year, over 300 artists are being represented in this exhibition by the top art galleries in the Philippines. 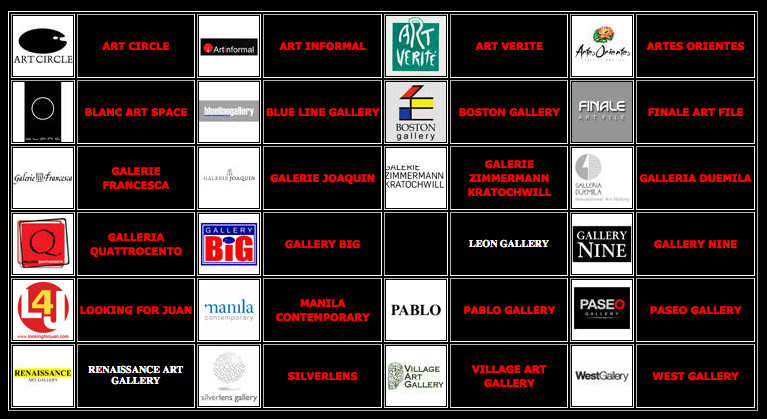 ManilArt 2011 promises a more diverse and vibrant art exposition. I was able to attend the opening of Manila Art in 2009 and I must say that the exhibition then was such a fantastic gathering of artists, art patrons, art collectors and art enthusiasts. The maiden run of ManilArt 2009 had a painting of a jeepney by Onib Olmedo as its banner piece, while 2010 bared Andres Barrioquinto’s “Crystal Gazer.” For this year, ManilArt is privileged to have Elmer Borlongan's “Batang Edsa” in the poster. Participating galleries were required to propose unique concepts for their exhibitions. Different art discourses will be witnessed from semiotics to internet art. ManilArt 2011 seeks to merge the visual arts with other disciplines. Programs include a modern-dance interpretation of Borlongan’s art by premier contemporary-dance maven and Dance Forum founder, Myra Beltran during the gala. Book signing of "Revolutionary Routes"
ManilArt 2011 also has prepared something for children where they can enjoy the storybook reading hour at the lecture room. The Rocking Horse which features paintings by Elmer Borlongan will be read aloud by Carisse Escueta, a former preschool teacher who is now executive director of RepubLikha. Carisse was my classmate in DLSU (Manila) and also a co-faculty in De La Salle-Zobel where we used to teach. Radio and TV personalities, Gang Badoy of Rock Ed Philippines and Ramon Bautista, have also been invited to read. For details, call (632) 5316231 or +63.917.8511333, or e-mail info@manilart.com. Visit www.manilart.com.